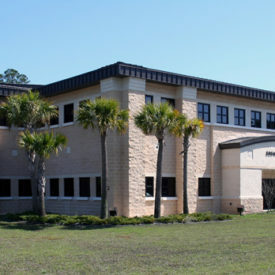 BTA partnered with the U.S. Army Corps of Engineers, Mobile District to provide comprehensive design services for major new facilities to accommodate the relocation of the Army’s 7th Special Forces Group (Airborne) – Green Berets – from Ft. Bragg, North Carolina to Duke Field (Eglin AFB), Florida. 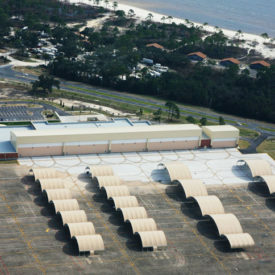 Facilities designed by BTA include a 68,429 SF Group Headquarters Facility, 70,895 SF Group Support Battalion/Company Operations Facility, 22,488 SF Dining Facility, 43,697 SF Combat Readiness Training Facility, 3,750 SF Tactical Communication Facility, 22,590 SF Indoor Baffle Range (Weapons Training Facility), 5,728 SF SF Arms and Ammunition Assembly Point and 11 Earth-Covered Magazines (ECM's). 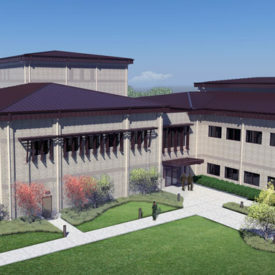 "Bullock Tice Associates is one of the best A-E firms I have had the privilege to work with during my 27 years in Military Construction Project Management. The quality of their production of construction contract documents is outstanding. 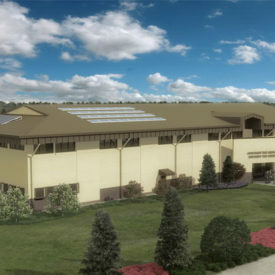 Their design process included the Army’s Military Construction Transformation initiatives, LEED Silver, and economic considerations. Their positive attitude and customer relations are an essential asset."